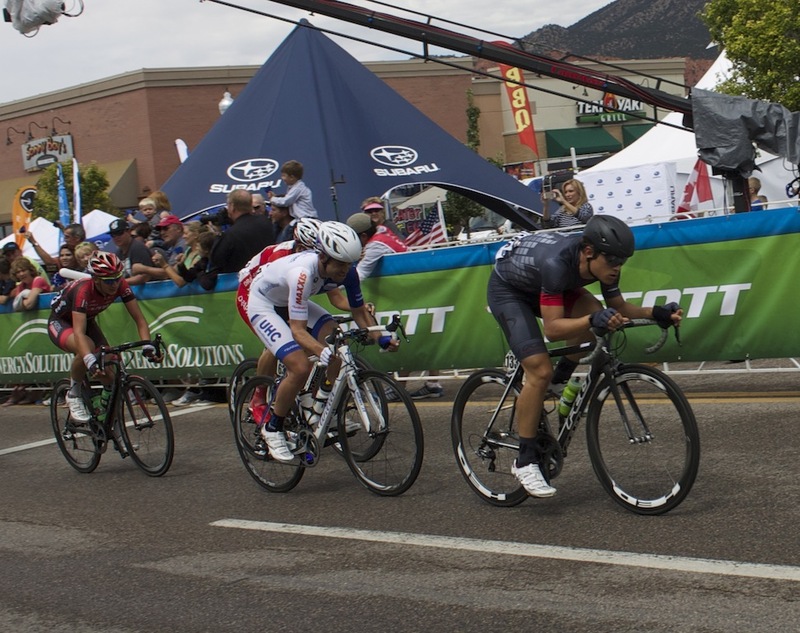 The first stage of the Tour of Utah consisted of a 113.5-mile course with 8,873 feet of elevation gain, beginning and ending in Cedar City. 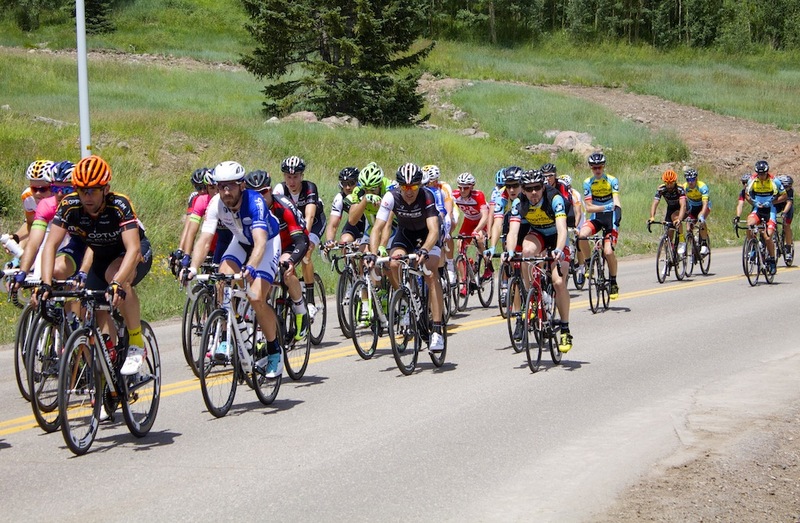 This course took the cluster of cyclists, known as the peloton, through various Southern Utah landscapes ranging from desert, to mountains and forest greenery that included Escalante Desert, Parowan Gap, the city of Parowan, Brian Head, Cedar Breaks National Monument, Mammoth Creek, Cedar Canyon and Cedar City. 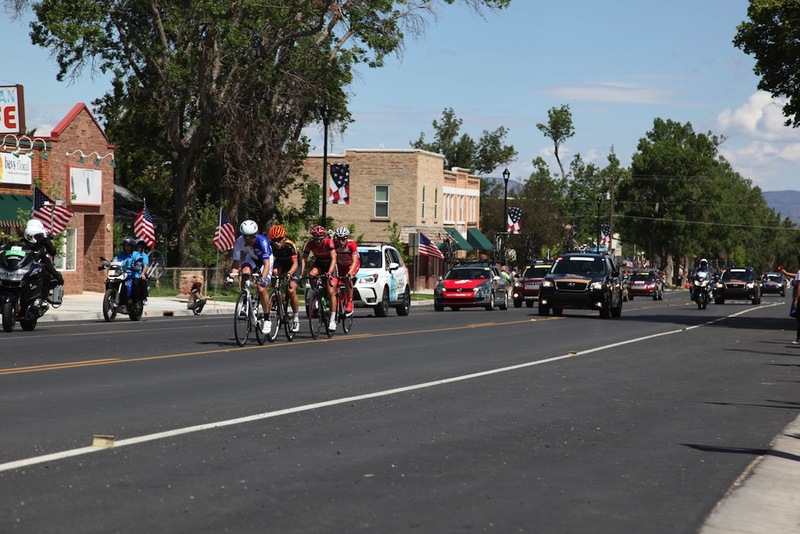 Twenty-two year old, Moreno Hofland, with the Belkin Pro Cycling Team from the Netherlands, sprinted to the finish on Main Street for his first victory on American soil, and his first lead with a time of 4 hours, 51 minutes, 2 seconds. 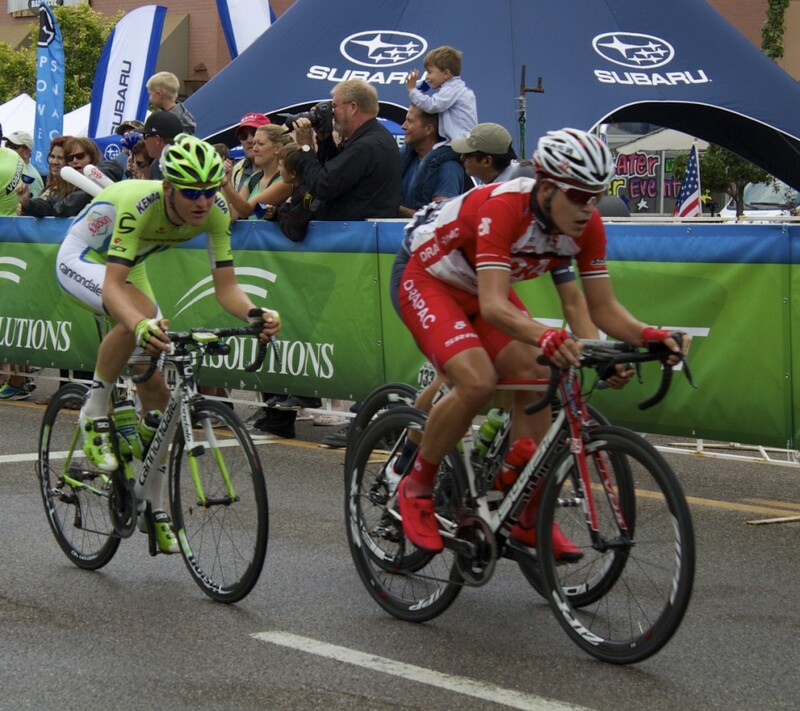 Jure Kocjan, for team SmartShop Pro Cycling, came in second and Andrew Palini, with Lampre-Merida, in third. 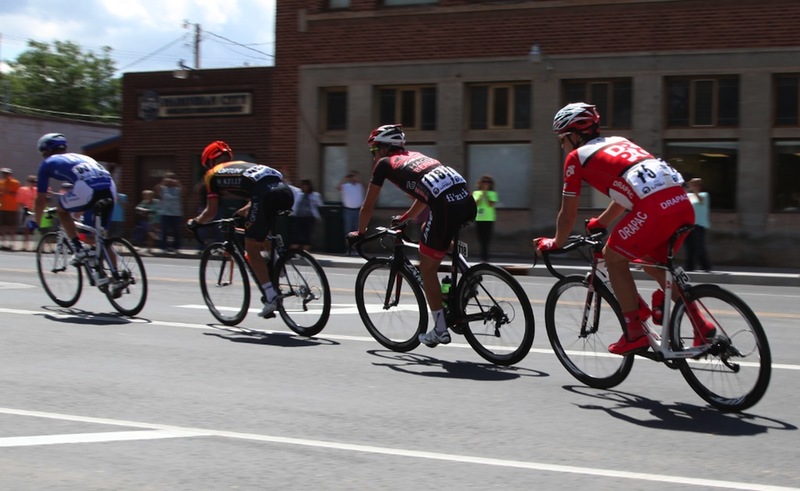 Tour of Utah was Hofland’s first race back from an accident that occurred in the final stage of the Tour of California last May resulting in five broken ribs, a fractured vertebrae and multiple weeks off of his bike. 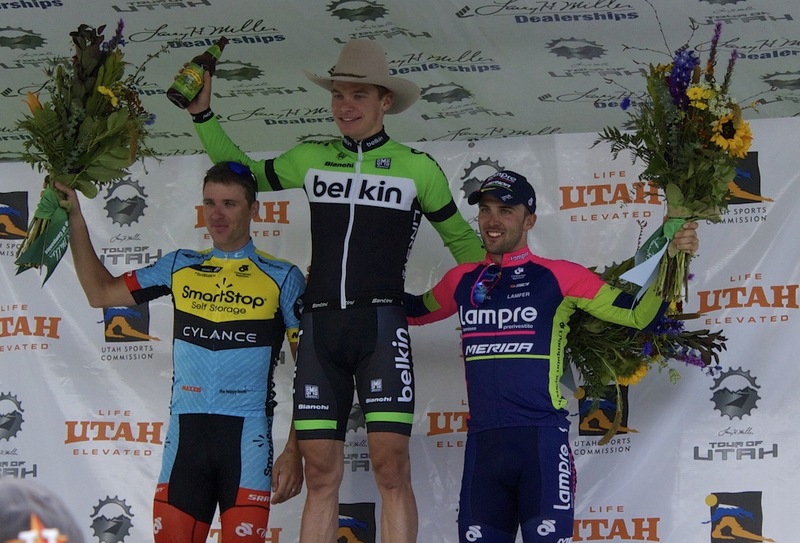 Although he had a really hard crash in California, it was not enough to keep him away from Tour of Utah’s stage-one victory and the prestigious, yellow race leader jersey. 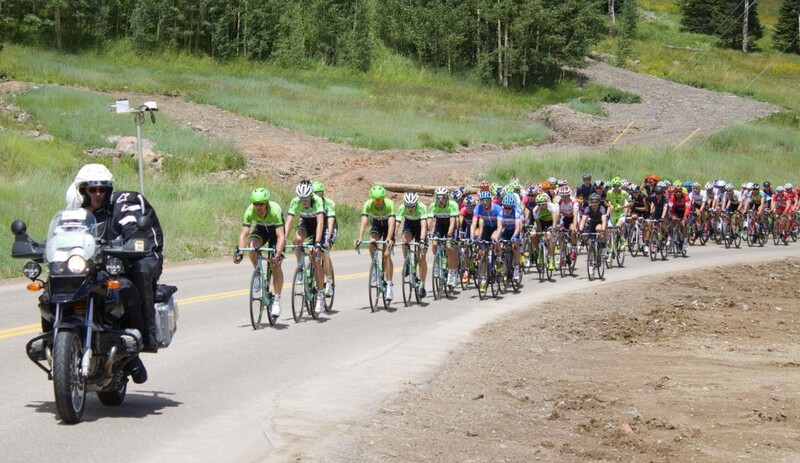 Hofland and his Belkin team members arrived in Park City two weeks ago to prepare for altitude training. 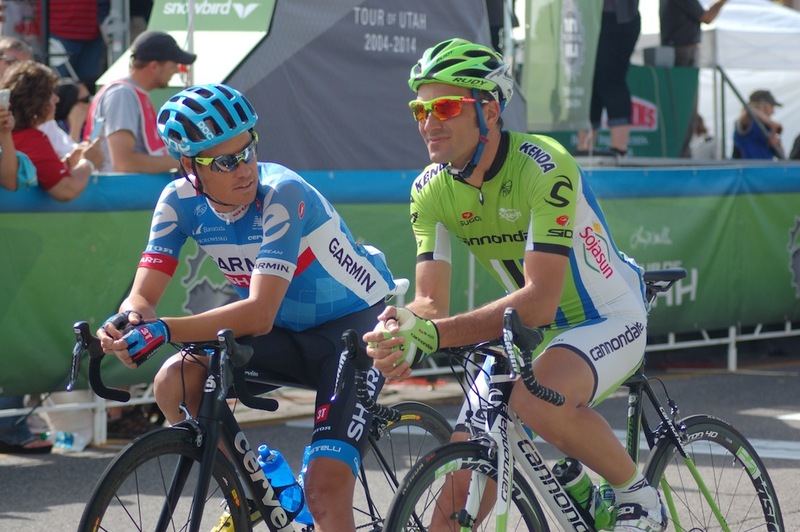 “Of course, the race in the altitude was hard for us. 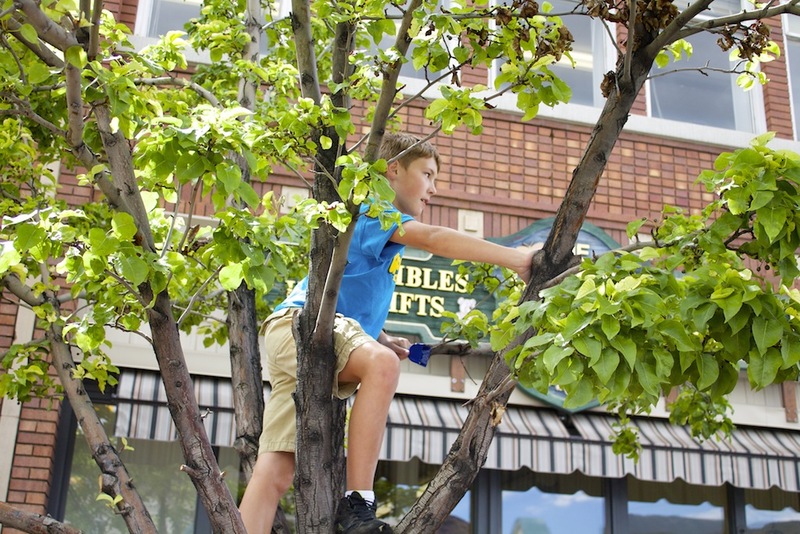 I am from Holland and that is sea level. 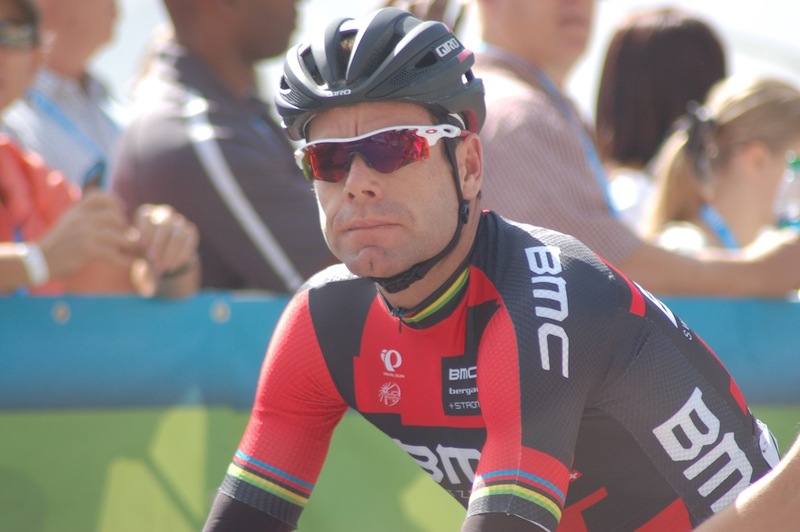 We prepared really good for this race” Hofland said. 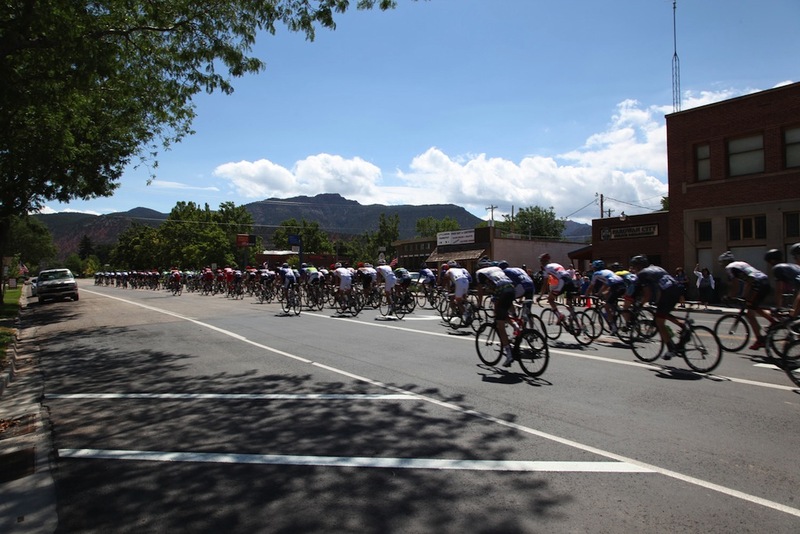 Tomorrow will begin the second stage of Tour of Utah beginning in Panguitch and ending in Torrey, passing through Red Canyon, Bryce Canyon National Park, Grand Staircase-Escalante National Monument and the Dixie National Forest. 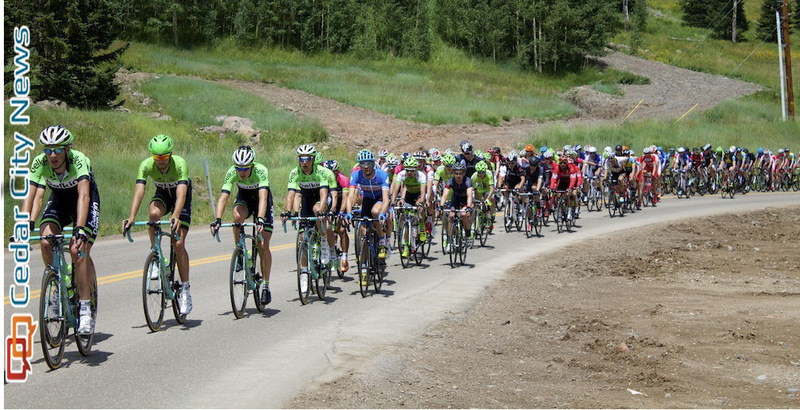 Stage two is the longest stage of the week and racers will climb 10,162 feet. 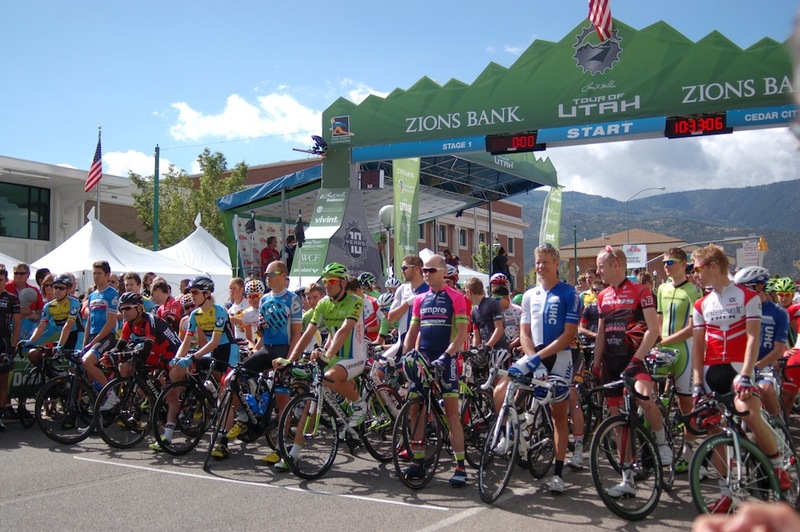 Bikers will be racing over 700 miles in seven days peaking into Evanston, Wyoming, during stage five and ending in Park City this Sunday for the conclusion of the Larry H. Miller Tour of Utah. 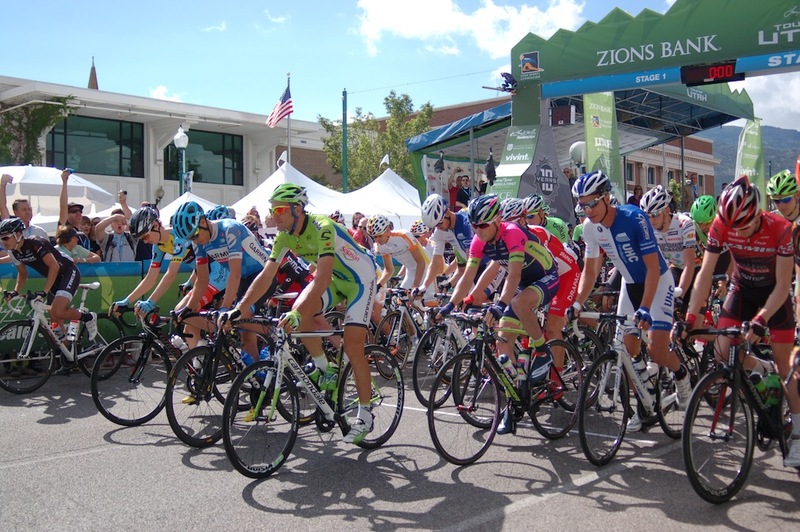 Information on live coverage of Tour of Utah can be found on Tour of Utah’s website. 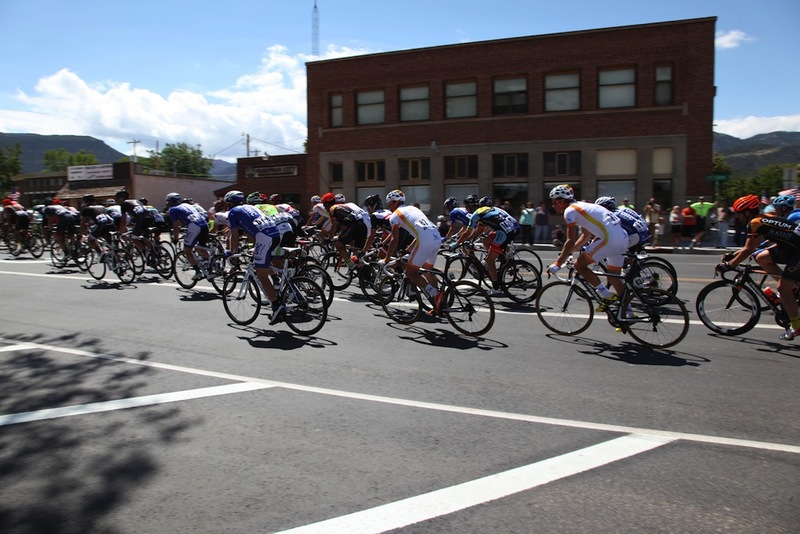 St. George News Reporter Hollie Reina contributed to this report from Cedar City.